I was shooting the last few pictures when my son asked what I was doing. I told him I was taking pictures of a watch. "That's a watch?" he said excitedly. "That doesn't look like a watch - that's cool!" 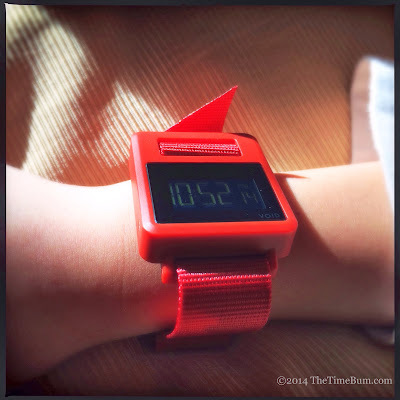 The watch that had just earned me valuable street cred with my 5-year old was the Sond, a new model from Void. The boy was right. 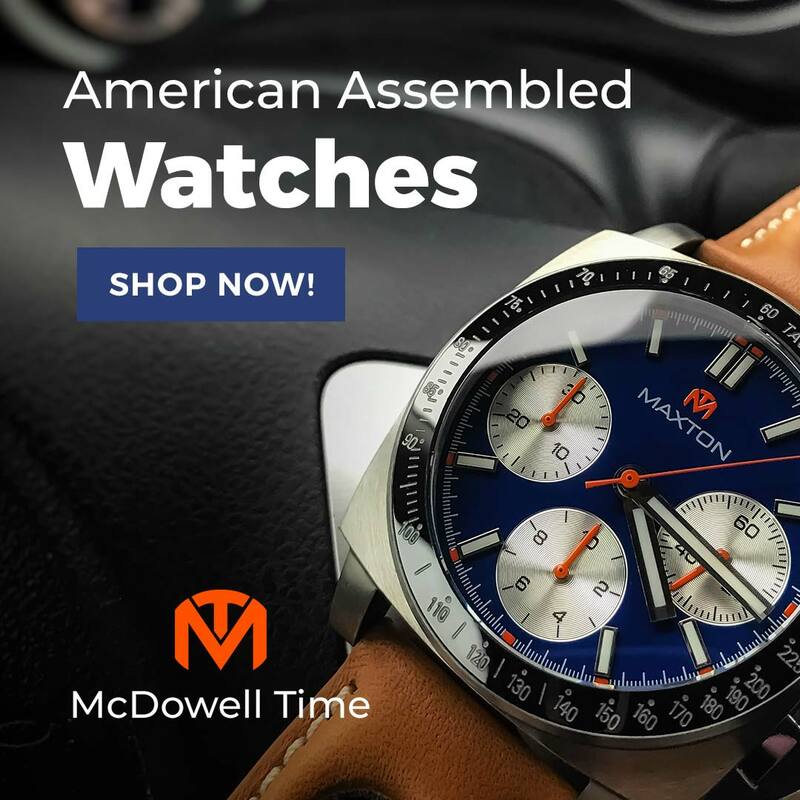 It really does not look like most other watches. 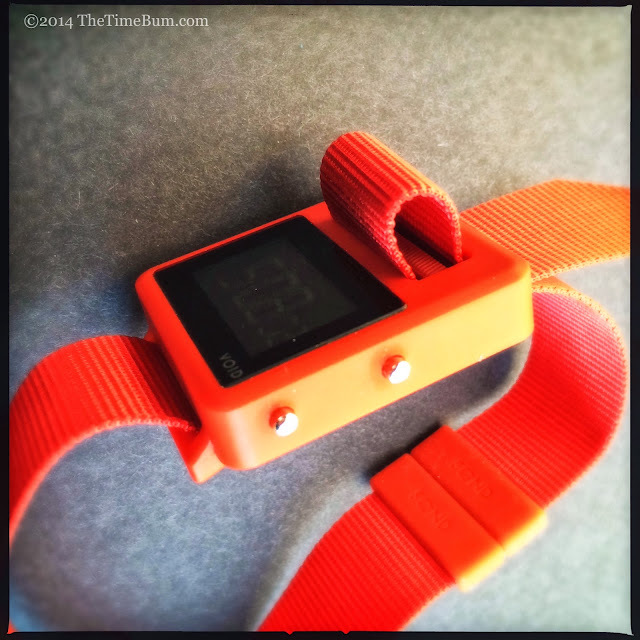 The bright red review sample was very different from anything he had ever seen on my wrist. "Sond" is defined as a message, a visitation of providence, or a high altitude balloon. 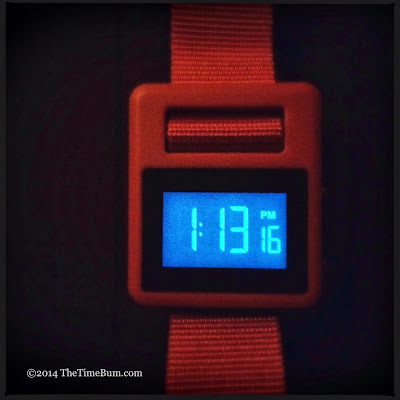 Now, it also a 38x44x11mm rectangular digital watch. Like David Ericsson's other offerings, it is a design with simple geometry that creates a unique, expressive design. 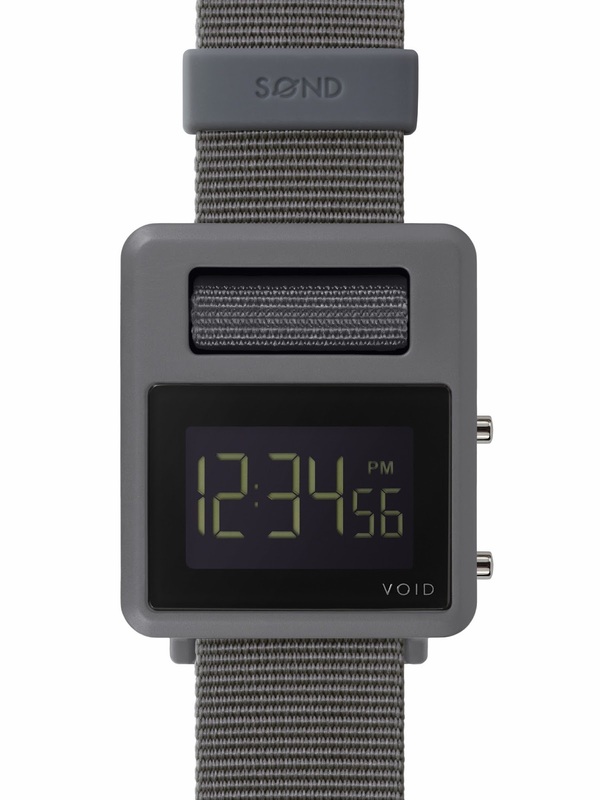 Its configuration is similar to that of Void's other digital watches, with a large negative space above an LCD digital display. It is operated with two buttons on the side, one to toggle time/date, the other to activate a nightlight. It fits neatly into the existing Void design language, but everything else about it is new. 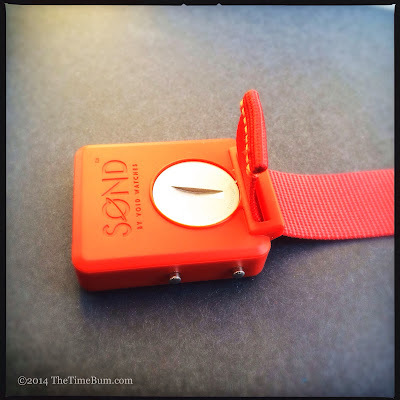 The Sond has an injection molded monocoque plastic case - Swiss Grilamid TR90 nylon to be precise. The Internet tells me TR90 is a high performance engineered polymer with excellent dynamic strength, good chemical resistance, toughness, low density, excellent gamma sterilization behavior, and other things that I do not understand because I am The Time Bum and not a chemical engineer. Let's just say it is plastic, and as a consumer of plastic goods, it it strikes me as being pretty good. It feels more like the high-tech telephone in my office than a Happy Meal toy. The case has a very slight texture to it, which gives it a matte finish. The corners are slightly rounded and both the top and bottom edges are beveled. Water resistance is 30m. The battery is accessed through a hatch opened by a coin. Up to this point, it is a plastic box. A nicely executed plastic box, but a plastic box nonetheless. That is, until you fit the strap. Then, things get interesting. The strap is a 22mm wide strip of nylon, but it is not the NATO or Zulu style you might expect. Instead, it has one straight end, doubled over and sewn down just the last couple of millimeters, and the other cut to a point and heat sealed. The straight end fits into the fixed lugs at the bottom of the case, with its thicker, sewn edge fitting neatly into a channel. The pointed end threads through a gap at the top of the case and threads over and through an integrated and ridged bar in the upper front of the watch, then back through the way it came. Two floating silicone keepers trap the excess. The instructions suggest cutting off the excess strap, but considering that the watch was on loan, I left it intact and simply tucked it back through the keepers like a NATO. When you are done, you have a perfectly secure attachment without spring bars or buckles. To remove the watch, just push the tail end back into case to create some slack. Honestly, it takes far longer to describe the strap fitting process than it does to actually fit the strap. Just look at the picture and it will be perfectly clear. 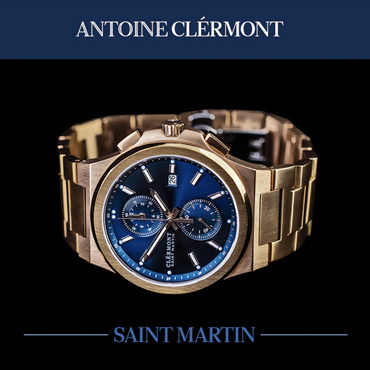 The watch has significant presence on the wrist. A 38mm width is mid-sized for a round case, but pretty darn big for a square case. Despite its size, the materials make it extremely light. 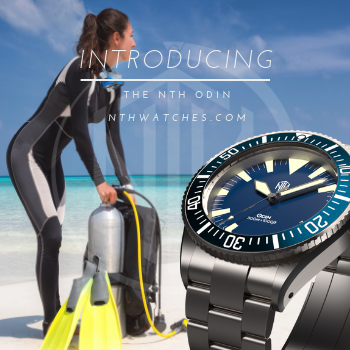 With its plastic construction, boxy shape, and unique strap attachment, the Sond is a distinctive piece, and one that changes significantly with color. In grey on grey, it is gritty and industrial, like a prop from Blade Runner. In monochrome primaries like the bright red on red, it is a bold fashion statement. In multi-colored options it is fun and playful. In this sense, it reminds me of the original Swatch. 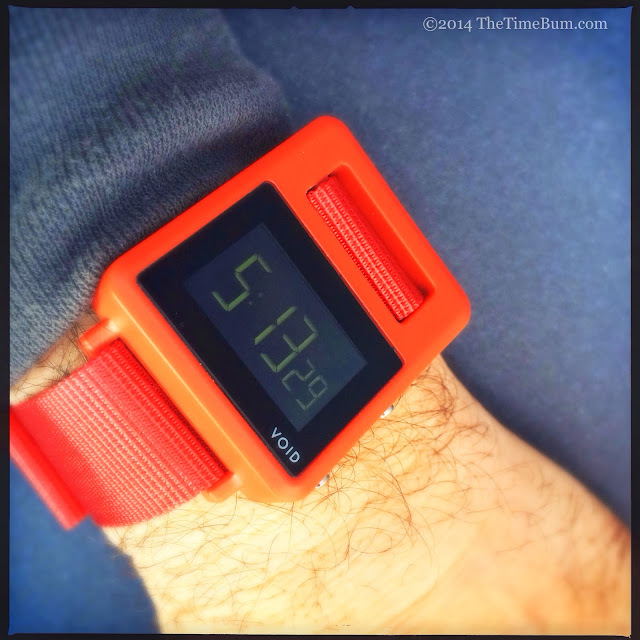 (Yes, The Bum is old enough to have bought a Swatch way back when that little number was first launched.) 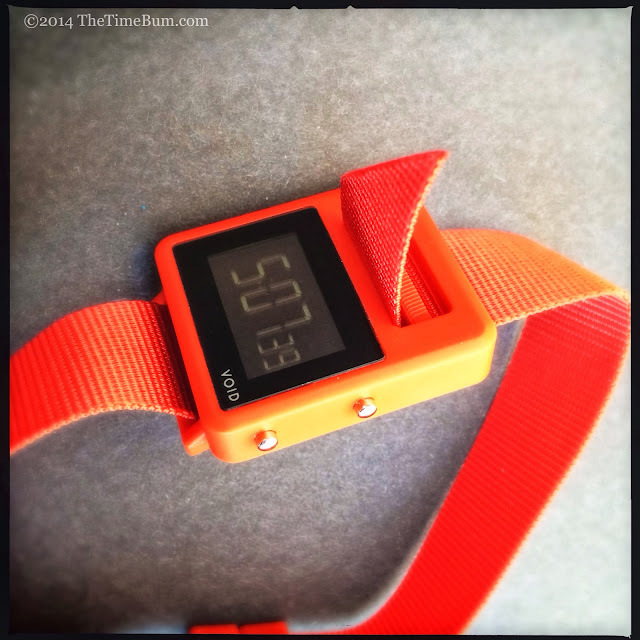 Void notes that more than 500 case/strap/keeper color combinations are possible. The catch to this variety is that you must use a Sond strap. A conventional one piece would not work properly, and if you did manage to fit it, would defeat the whole purpose of the design. 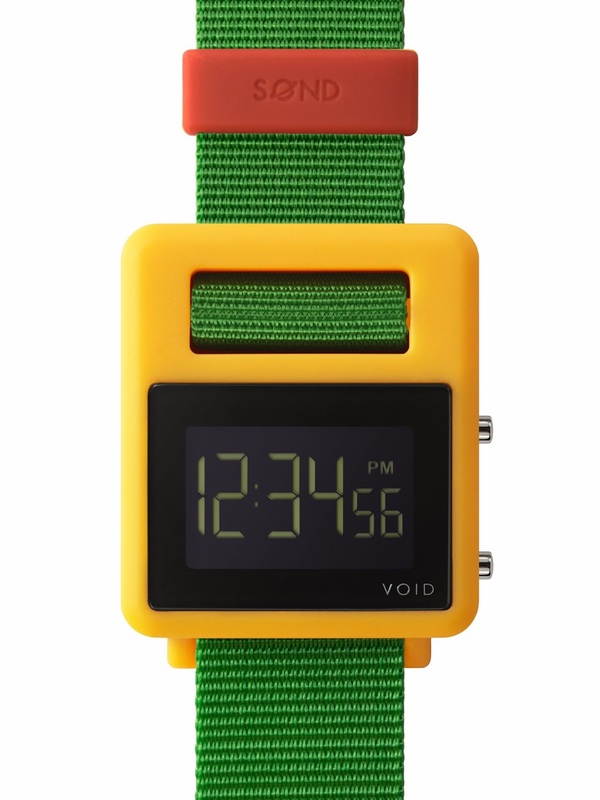 Void plans to sell individual Sond straps as well, but the are not yet available. At first blush, the retail price of $95 seems a bit high for a plastic digital, but compared to other plastic cased watches that offer interchangeable proprietary straps in a range of colors and designs, it makes more sense. The classic Swatch Gents Watch sells for $60, and additional straps are $15-25 each. The reissued Fortis Colors series retails for $150, and while it can be found on Amazon for closer to $100, extra strap/case units are a hefty $50 each. Of course, neither of these watches looks anything like the avant garde Sond. Let's get back to my kid. It is a great day in a watch geek's life when his child expresses interest in a watch, so I let him take some pictures, and then let him try it on. He was delighted. As you can see below, the case dwarfed his wrist, but it was light enough that he didn't care. His review? He thought it was comfortable, and it looked super cool, but the numbers were hard to read in the sunlight. He also was very disappointed that he had to take it off. Is the Sond for you? 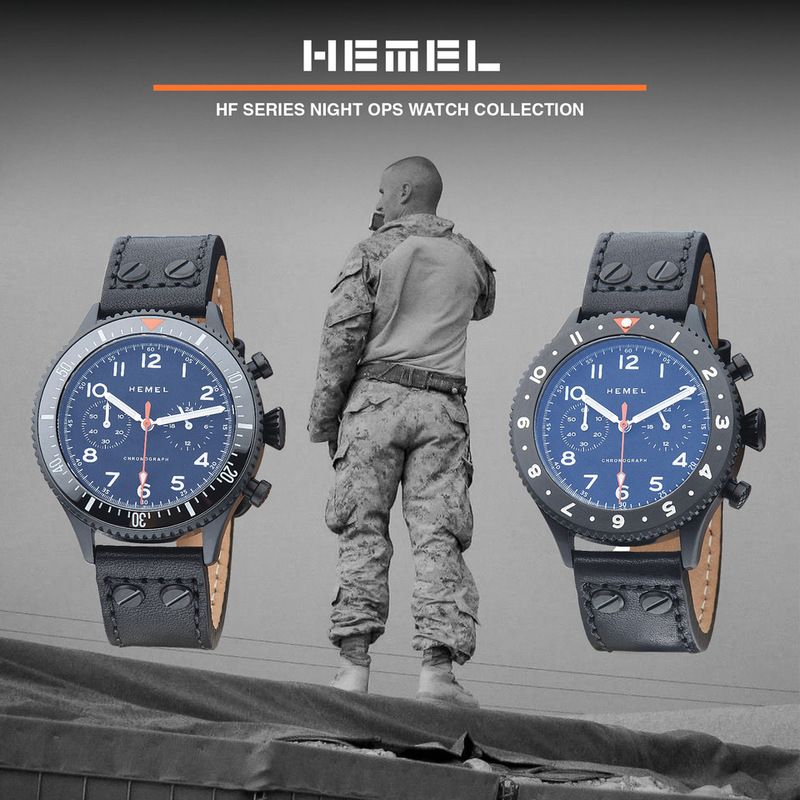 Personally, I dig it, but I wish the watch had better water resistance. If it were rated for 100m, its utilitarian looks and unshakable strap would have real world utility. As it stands, it is more of a fashion piece, and I suspect its target buyer is far younger than myself. Like all of Void's offerings, the Sond has clever and innovative design, and I applaud them for bringing the concept to fruition.